1) The Mission Continues. On average, it takes 8-10 years for a start-up to go public. 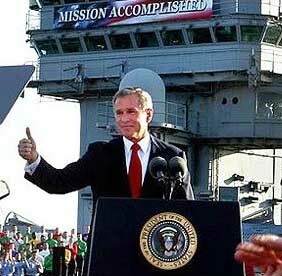 After a lot of ups and downs, twists and turns, it feels like a massive victory (aka "Mission Accomplished", as George Bush famously declared regarding Iraq in 2003). By that time, your team will be exhausted. Naturally, a huge let-down ensues, particularly after the first hiccup – and there will always be a hiccup: a missed quarter, a departing executive or major customer, something. Recruiters and venture capitalists salivate over picking off executives at recently public companies with the siren song of "don't you want to do that again?". If the stock price flags, all the better. Executive teams need to focus their staff post-IPO on a new mission. Be clear that the end goal was never an IPO – that is merely a financing event, a means to an end. The end goal is industry transformation, customer satisfaction, etc. Find that new mission – and make sure you get your team behind it. Give them more stock options, more incentives and more inspiration to go at it hard for another 8-10 years. 2) Don't Let The Turkeys Get You Down. 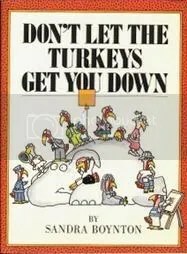 When Ronald Reagan left office, he provided a final note with words of wisdom for incoming president Geroge HW Bush: "Don't let the turkeys get you down." And, believe me, when you're a newly public company executive, there are a lot of turkeys out there. Not only is there a risk that your company mood ebbs and flows with the daily stock price (your stock is down 10% thanks to Vladimir Putin – deal with it), but you are suddenly publicly castigated for every move. Investing an extra $1m in R&D in order to accelerate your game-changing new product? Pre-IPO, your board would have applauded. Post-IPO, you will get hammered. And if any insiders dare to divest of their shares, even in programmed trading batches, it will kill you. I remember delivering a (compelling, I thought) company presentation at a Goldman Sachs conference and, afterwards, the first question was, "Mr Bussgang. If your company is so great and the future so bright, why is your CEO selling stock?" Many Wall Street analysts are total turkeys. They build their reputation by tearing yours down. Be tenacious and true to your strategy and prepare your team to ignore the noise. Gail Goodman is one of the most tenacious, skilled public company CEOs I know. Many analysts hammered Constant Contact shortly after the IPO, complaining about churn rates and missing the social marketing window. The stock waxed and waned and Gail just kept executing. A few years later, the stock has nearly tripled these last two years and the market cap is near $1 billion. Watch her public presentations over the years and you'll see Gail kept telling the same story – making small improvements every quarter and showing the turkeys the value of the business. Care.com CEO Sheila Marcelo is in the midst of a similar situation. Her stock is down 3x from its post-IPO high with a market cap of a paltry $250 million. I'm rooting for her to prove the turkeys wrong, just like Gail did, but it requires a tremendous amount of patience and tenacity. 3) Wall Street Is Annoying…But Sometimes Right. OK, I know this sounds like a contradiction to point 2, but it's the unfortunate truth. Wall Street analysts and hedge fund managers can be annoying, short-term minded turkeys, but they're smart and often right. Carl Ichan's recent battle with eBay/PayPal is a great example. The trick is to ignore the noise, but don't walk around with an arrogant attitude that you are always right and the critics are always wrong because they just "don't get it." Make sure you listen carefully to the smart Wall Street analysts and incorporate their feedback where appropriate. Make sure you have board members who make you a little uncomfortable because they hold you accountable. The cozy days of the VC-led board where everyone is trying to blow smoke and get you to help them with their next fund is over. Wall Street doesn't care about a long-term relationship. They demand results. And sometimes their cool, analytical distance can be very valuable. It can be painful and distracting, but sometimes very enlightening and helpful.